Do you like Broforce? Share it with your friends. The game Broforce will surely capture your interest because of its retro appearance. Become now a fearless veteran of the Vietnam War and set out for a jungle to free unlucky captives held in cages by cruel enemies. 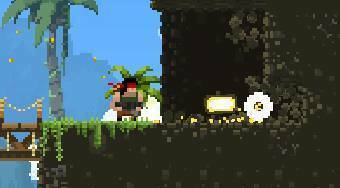 Run through a divided landscape with a dense tropical vegetation and eliminate the enemies.